Vevo is an American multinational video hosting service established on December 8, 2009, which is a joint venture for Universal Music Group, Sony Music Entertainment and Google. 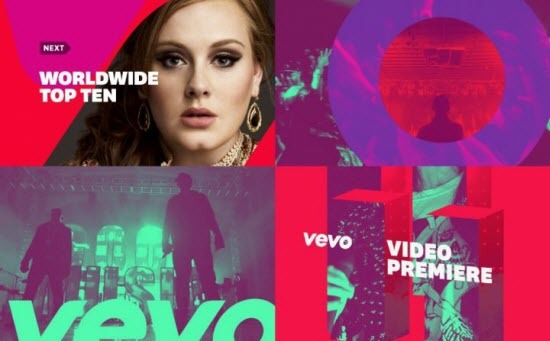 Vevo provides music videos from Universal Music Group and Sony Music Entertainment on YouTube and its website, while Google and Vevo share mutual benefits. Back to time, the Vevo video is only available to viewers in North America and Germany. However, now Vevo video is available all over the world, like India, Australia, the United Kingdom, the United States. You can watch is on YouTube, Google Play, or Vevo.com. Actually, Vevo channel has become the most prevalent channel on YouTube. Most people watch celebrates’ Vevo video on YouTube. Hundreds of people download Vevo video from YouTube to watch their favorite star’s show. Part 2. How to convert Vevo video to DVD with Efficiency? Just you should know, VEVO is a prevalent video sharing website since it supports full HD quality media uploads. If you need to ensure that you have HD videos, MOV and MP4 format are the best choice. Sometimes, you may need to convert Vevo video to DVD for sharing or other reasons. However, we all know the cruel truth that neither YouTube nor Vevo permits you to download videos from those sites. If you need to burn Vevo video to DVD with efficiency, your best choice would be Leowo DVD Creator. Here below is a detailed guide about how to burn Vevo video to DVD disc. It is more faster and easier to download Vevo video by getting the third party app’s help. Step 2: Paste complete Vevo videos URL from Vevo.com or YouTube to this app. Step 3: After the Vevo video shows on the app, click “Download”, then you can download Vevo video free to your computer. For your information, Leowo DVD Creator is designed to convert downloaded Vevo videos to DVD with edit function. No matter what kind of format is your Vevo video, Leowo DVD Creator can assists you to burn Vevo video to DVD. 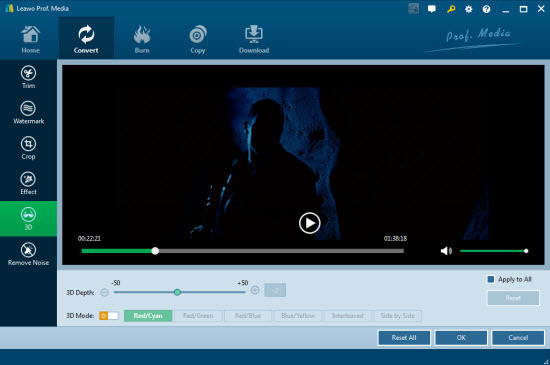 Download Leowo DVD Creator from its official website and launch it on your computer. Please confirm that you download right Mac or Win version. After you launch the software, click “Convert” on the tool bar. After that, tap “Add Video”. To add single Vevo video, click “Add Video” on the scroll down list; to add multiple Vevo videos, click “Add Video Folder” on the scroll down list. After added Vevo videos, right click on the video and select “Edit” from the drop-down list. You are authorized to edit video according to preference. It is worth to mention that turn Vevo video to 3D effect is the flagship feature for Leowo DVD Creator. After editing, come back to convert interface. Then right click on the video and select “Send to Burn”. You have hundreds of choice for templates. Both for preset disc templates and customizable templates are provided. “No templates” is also available if you do not need to set disc menu templates. Click “Burn” to burn Vevo video to DVD. After click “Burn”, you should be able to set the disc label, DVD save location, etc. Tap “Burn” again after the setting, the burning should be finished in few seconds. 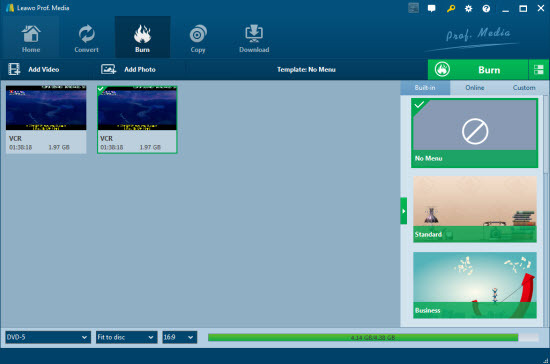 As far as you can see, Leowo DVD Creator is a powerful and easy to use app to burn Vevo video to DVD. The 3D effect and disc menu templates are the flagship features for this app, which can not be done by other similar app. Moreover, this app can convert any video for any format. Apart from convert Vevo video to DVD, this software also empowers you to convert photos into slideshows and burn to DVD. If you ever need a program to burn videos to DVD, Leowo creator is a must.